A true driver's car, the rear-drive Jaguar XE redefines the concept of the sports saloon thanks to its advanced lightweight construction, streamlined styling, luxurious interior, and outstanding ride and handling. The XE goes on sale in 2015, with the high-performance S model at the top of the range. The XE S rewards drivers with the responsiveness and refinement of its supercharged 3.0-litre V6. Generating 340PS and 450Nm of torque, this high-revving engine is linked to an eight-speed automatic transmission with paddle shift controls, giving the driver immediate access to the vehicle's incredible reserves of power. Accelerating to 0-60mph in just 4.9 seconds, the XE S has an electronically-limited maximum speed of 155mph. Just as Movistar Yamaha MotoGP� continues to perform on-track this season courtesy of Valentino Rossi and Jorge Lorenzo, the team�s partnership with TW Steel keeps pace with the global lifestyle brand choosing last weekend�s British Grand Prix at Silverstone, Round 12 of the 2014 MotoGP� Championship, to unveil its latest timepieces in honour of the partnership. Celebrating the shared synergies of passion, power and performance, TW Steel has produced a dynamic new six-piece watch collection to showcase the Yamaha Factory Racing brand. Naturally sporty in their appearance, the new designs, available in 40mm and 45mm sizes, are priced to appeal to fans of the team retailing for only $99. Offering features usually reserved for more expensive timepieces, the �By TW Steel� moniker on each watch is representative of the DNA of these exciting and unquestionably affordable models. With each design founded around a genuine carbon case, the new watches incorporate an appealing carbon fibre design dial featuring the Yamaha Factory Racing logo. A steel case back also features the brand logo while a gun plated, steel crown further enhances the more expensive look and feel of each model, as does the use of reinforced mineral crystal. Each piece houses a Miyota 2115 3-hand movement with the dial encompassing a 24-hour indicator and date display. 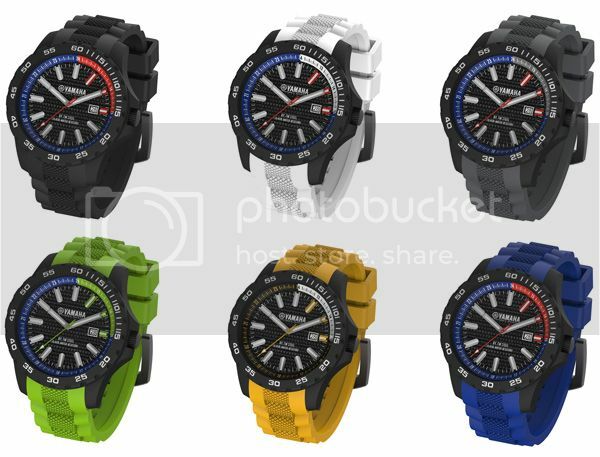 Highlights of the new Yamaha Factory Racing Collection �By TW Steel� are the colour presentations of the silicon straps, which include editions featuring Yamaha blue, retro yellow, black, grey, green and white all with a steel gun plated clasp. Finally, each model is 10 ATM water resistant. �We really wanted to embrace a collection that would reflect Yamaha Factory Racing�s heritage and also be widely obtainable by the brand�s phenomenal global fan base,� commented TW Steel co-owner and CEO, Jordy Cobelens. �With that in mind we created the �Yamaha Factory Racing - By TW Steel� range in order to produce a value-focused timepiece but one, like our main TW Steel offerings, which also packs in items befitting more expensive watches. �I�m tremendously excited with the addition of these new �Yamaha Factory Racing - By TW Steel� watches,� commented Lin Jarvis, Managing Director of Yamaha Motor Racing. �We know our fans are continually looking at ways to show their support for our team and of course the Yamaha brand. We worked together with TW Steel to develop this new collection with three very important targets. The new Yamaha Factory Racing �By TW Steel� Collection will be available in October. TW Steel is a private, family-owned company founded in Amsterdam in 2005 now retailing in over 100 countries and counting worldwide. In addition to its partnership with Movistar Yamaha MotoGP�, TW Steel is also the �Official Timing Partner� to the Sahara Force India Formula One� Team and enjoys a stellar brand ambassador portfolio including Mick Doohan, Kelly Rowland, David Coulthard and Emerson Fittipaldi. With its name meaning �The Watch in Steel�, TW Steel is firmly established as a big, bold, global lifestyle brand. Its timepiece collections are reflective of, and available for all tastes and occasions with innovative design and luxurious styling paired together with Swiss build quality and an exceptional price point. TW Steel offers a defined sense of individuality and shows to the world that as a bold and ambitious personality, you wear a statement watch that truly reflects who you are. Proudly Dutch, TW Steel is led by its entrepreneurial CEO and co-owner Jordy Cobelens � whose talents have been recognized with Ernst & Young�s �Emerging Entrepreneur of the Year 2011� in The Netherlands. While Jordy Cobelens oversees the building of the TW Steel brand, his father and co-owner, Ton Cobelens, serves as the Chief Design Officer. Having launched in 2005, and now with 140 models, TW Steel has attained a global appeal while creating an internationally recognized and respected brand name offering truly affordable luxury available in over 100 countries. Movistar Yamaha MotoGP� is the official designation of Yamaha Factory Racing, Yamaha�s wholly-owned full-Factory Team in MotoGP�. The team was founded in 1999 and is now based in Gerno de Lesmo, close to Monza, in a brand new state-of-the-art facility with all technical, logistical, managerial and communications departments housed under one-roof. Masahiko Nakajima is President of Yamaha Motor Racing with Lin Jarvis serving as Managing Director. Since 2013 multiple MotoGP� Champion, Italy�s Valentino Rossi, has partnered with Jorge Lorenzo, the Spanish rider a two-time MotoGP� Champion. 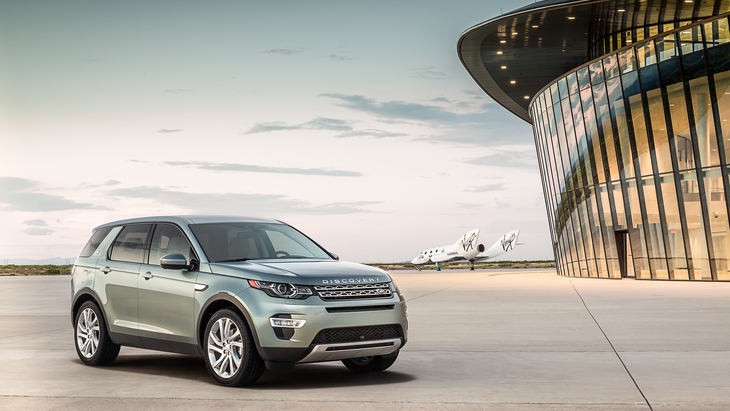 Four friends are set to win a once-in-a-lifetime trip to space with Land Rover�s Galactic Discovery competition, a ground-breaking on-line search for a group of aspiring astronauts to go on the ultimate adventure. The incredible Virgin Galactic space flight prize was announced to audiences around the world through a film featuring a group of the world�s greatest-living adventurers and personalities, including Sir Richard Branson, Bear Grylls and Sir Ranulph Fiennes. British adventurer and Land Rover ambassador, Bear Grylls, will play a hands-on role in helping the winning group prepare for their voyage beyond the final frontier. The first all night weekend London Underground services will run from 12 September 2015 - in time for the Rugby World Cup in England. The Mayor and London Underground (LU) today announced that 24-hour 'Night Tube' services at weekends will begin operation from the early hours of 12 September 2015, transforming night time journeys across London for millions of people. The announcement comes as independent research into the economic benefits of the Night Tube found that the new service will boost jobs and help maintain London's status as a vibrant and exciting place to live, work and visit. The Night Tube will cut night time journeys by an average of 20 minutes, with some cut by more than an hour. It will also play a vital role in opening up London's night-time economy to a host of new opportunities, supporting around 2,000 permanent jobs and boosting the economy by �360 million, the research found. The Mayor confirmed that Londoners and visitors to the capital will be able to take the Tube home at any hour of the night on Fridays and Saturdays, supporting London's businesses, jobs and leisure opportunities. As the most visited city in the world, London will join just a handful of other top world cities, including New York and Berlin, which also provide underground services through the night. Demand for a 24-hour Tube service is clear - late night Tube ridership has increased at double the rate of daytime trips and night bus usage has risen by 270 per cent since 2000. In order to meet the expected demand for Night Tube services, there will be six trains per hour through central London on all Night Tube lines, including the Jubilee, Victoria and most of the Piccadilly, Central and Northern lines. On the Northern line, there will be eight trains per hour to meet demand at busy stations between Leicester Square and Camden Town. Los Angeles, CA (September 4, 2014) � Fiji Airways unveils the latest suite of changes to its onboard passenger experience, which includes a new Signature Dish, designed by renowned Fiji-based chef, Lance Seeto, an updated FijiTime in-flight magazine, and Lomalagi Duty Free. These enhancements were introduced aboard all Fiji Airways international flights on September 1st. The new Lomalagi Inflight Duty Free shopping brings passengers world-class inflight retailers, from local Fijian names to well-known international brands. The inflight magazine, FijiTime, has also been redeveloped to include compelling destination stories and striking imagery to inspire all types of travelers. Headlining these onboard experience enhancements is the Business Class Signature Dish, inspired by the tropical flavors and artisan cooking techniques of the Fiji Islands and designed by Fiji Airways Culinary Ambassador, Chef Lance Seeto. The meat option of the Signature Dish features a charred beef fillet with masala chai tea rub and herb buttered prawns, with a side of sweet potato duchess, Fijian organic vegetables, and tempered cardamom jus; the fish option presents seared wild fish poached in coconut herb buttered prawns, coriander, and pineapple rice pilaf, along with Fijian organic vegetables and red papaya curry sauce. There is also a vegetarian option of the Signature Dish. Along with the introduction of the Signature Dish, the new Business Class restaurant-style catering concept offers new menu and service elements, such as the Yadra Vinaka (good morning) sleeper service, an hors d�oeuvre service, and an �a la carte� dining option for premium travelers. A Signature Welcome Cocktail and Mocktail, designed to reflect a Fijian sunset, have also been introduced in partnership with Fiji Rum. Traffic between Paris and Barcelona increased by a whopping 86% due to the introduction of the new high-speed line via the TGV Train. Passengers can now transport between France and Spain, from city-center to city-center, in just over 6 hours. With more high speed lines and tickets available at lower costs, Italy sales saw a 35% increase this year. Italian hotspots include: Rome, Milan and Venice � also known as the Golden Triangle. Spain and Switzerland are also among the leading European destinations, with an increase of roughly 30% in sales from the same time last year. North Americans are flocking to Zurich, Bern, Geneva, Lucerne, Madrid, Barcelona, Valencia and Cordova. Rail Europe is the largest distributor of European rail products for North American travelers. A one-stop shop for rail travel planning and booking, the company offers a wide range of rail passes, premier high-speed train tickets, local and regional tickets (from over 50 European train companies), and e-ticketing options for many top destinations. Bookings can be made by visiting raileurope.com.